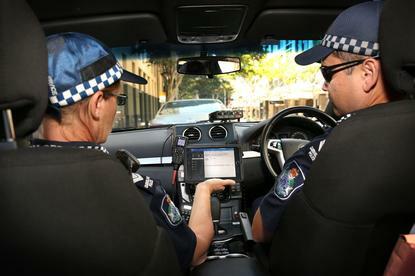 A new Queensland initiative focuses on getting mobile technology into the hands of police officers. The Queensland Police Service Mobile Capability Centre was officially launched today by Commissioner Ian Stewart and police minister Mark Ryan. The MCC will serve as a successor to the Mobile Services Program, which began in 2012 and saw a shift away from the use of in-car laptops and analog radio towards using ‘smart’ mobile devices that integrate with enterprise systems. The MSP concluded in June last year, following the rollout of some 5400 iPads equipped with the QLiTE platform. QLiTE — QPS Lite information Technology Exchange — offers access to a number of ‘sub-applications’ including QNotices for issuing infringement notices, StreetCheck for collecting details from individuals, QDirections for issuing move on directions, support for roadside drug testing, and QTasks for incident management. The new MCC, which has a budget allocation of $16 million, will oversee the QPS QLiTE fleet. The state government said that the MCC was both a physical workplace and an organisational unit within QPS’s Community Contact Command. “The MCC facilities provide assistance to frontline officers so they are able to access critical information and perform key policing tasks which will ensure they spend less time on administration and can remain in the field longer to keep the community safe,” Stewart said in a statement. “I look forward to watching the MCC continue to increase and improve the mobile capability available to officers,” he added. The MCC workforce has a headcount of 32, including contractors, staff and police officers. The centre can scale up to 66 staff in response to the demands of particular projects.